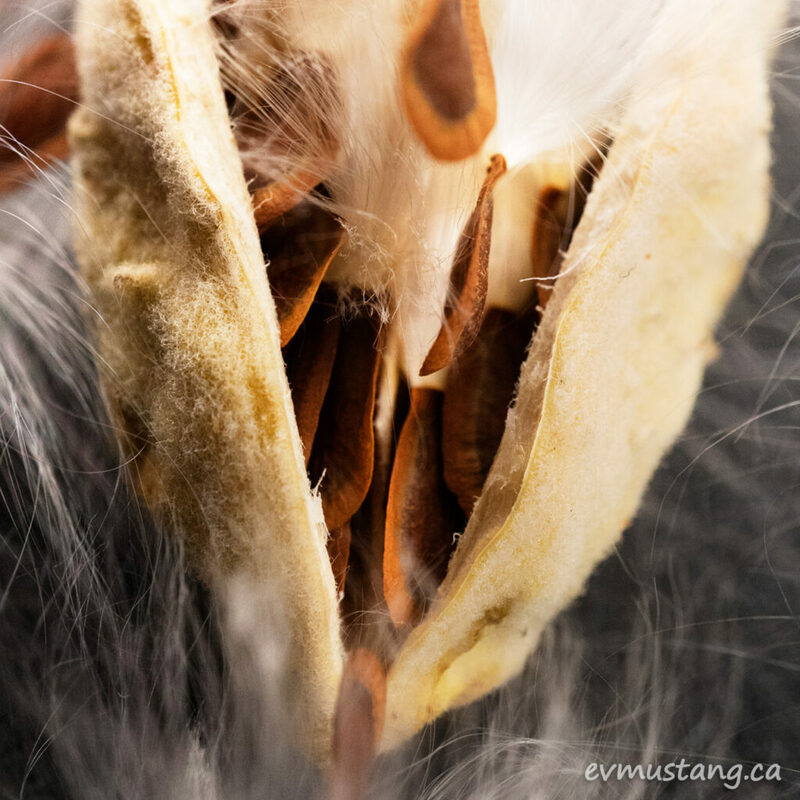 A friend asked me to find some milkweed seeds and send them to her on the west coast to grow in her balcony garden next summer. They remind her of Ontario, which she sometimes finds herself missing. 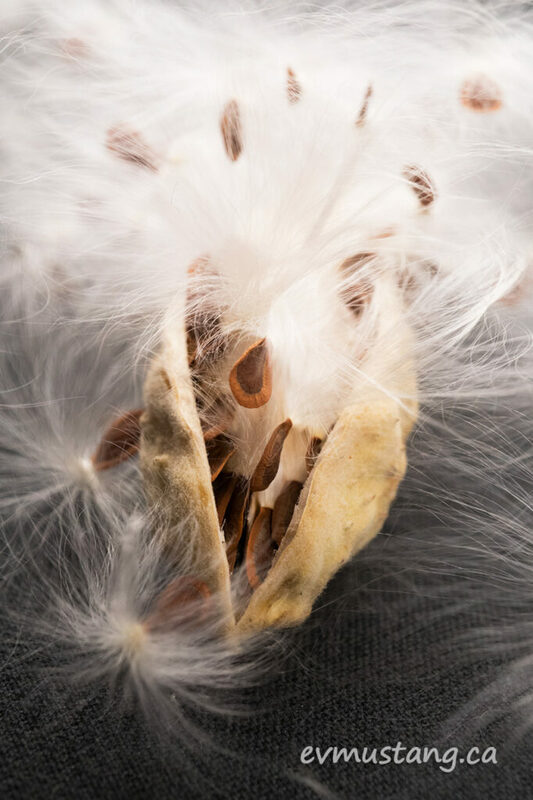 … that I might put up these photos of Common milkweed (Asclepias syriaca) as an encouragement to remember that the cold will eventually subside. Spring will eventually arrive. 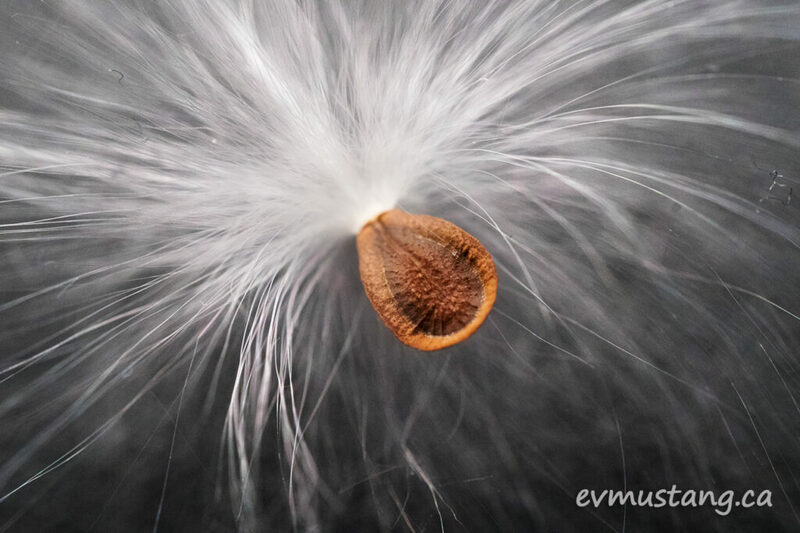 And the milkweed will grow again. If anyone wants seeds for their own garden, I have lots. Just be careful where and how you plant them. Even though they’re native to this area, they can cause issues for livestock. 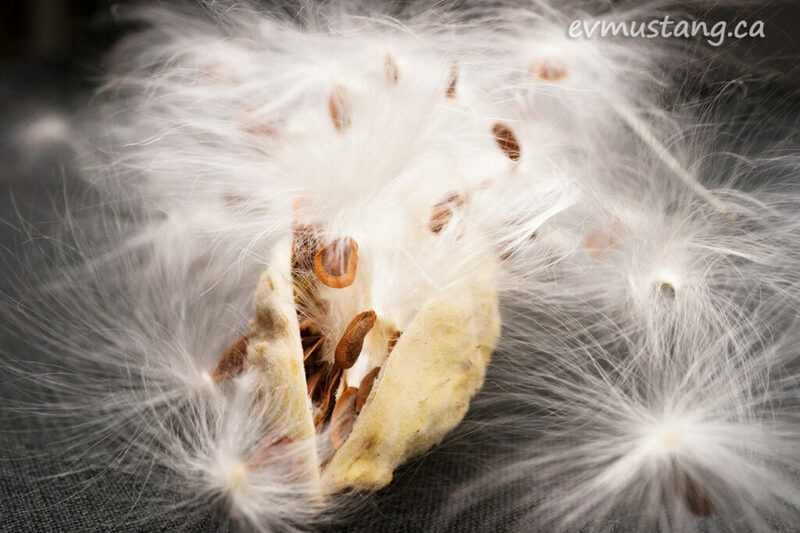 Read about how to grow and control milkweed in your garden before you plant. I never realized milkweed looked so beautifully exotic. 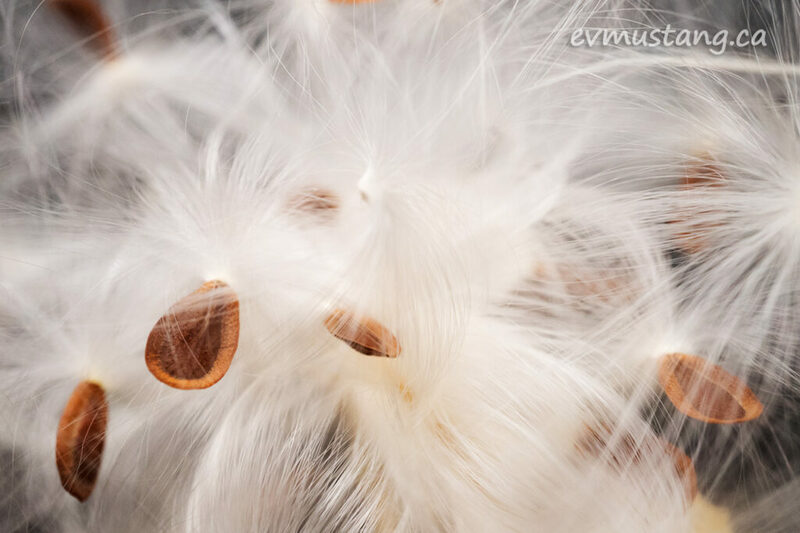 As a teenager during World War Two I spent many a Saturday in the countryside gathering milkweed for the “war effort”. It was used as a substitute for oriental kapok to make the all important “kapok” life vests for the navy, etc. Now it’s a subject for beautiful pictures. Nice change. Munroe, Thank-you so much for sharing your war effort story. I had no idea that Milkweed could be used in such a way. And thanks, as always, for the compliments.